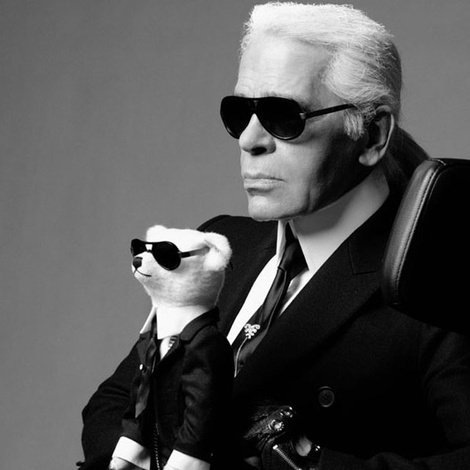 As you may know, On February 7th, Karl Lagerfeld will be the guest editor-in-chief of the Métro newspaper. For the occasion, the newspaper is organizing a contest which can give you the chance to win a trip to Paris and be the designer’s assistant for the day. She greatly admires Mr. Lagerfeld's ability to stay current and would love the chance to work by his side. She also is a fan of Yves Saint-Laurent and Alexander McQueen. You can vote for her here! Good Luck! That being said, I certainly wouldn't pass up the chance. Haha.